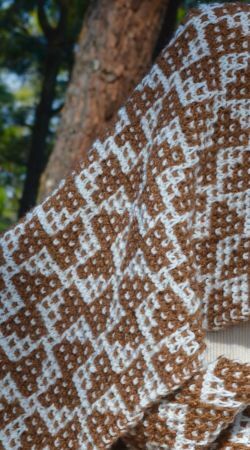 Soft long muffler, hand knitted in shades of brown and cream, to wrap winter around you. 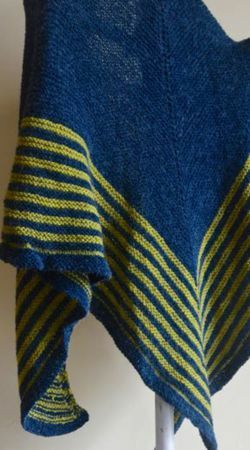 Classic colours in a smart weave-like pattern can be teamed with bright or neutral outfits to make a statement, add some warmth, bring some compliments. 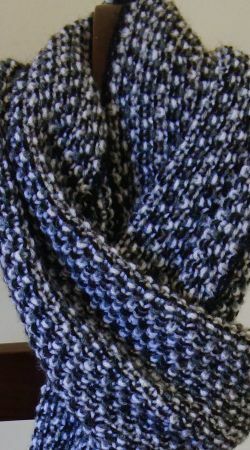 Unisex muffler for wardrobes of all ages. Soft snow on quiet brown landscapes, bare tree branches pierce misty skies and grey mornings wait for the sun to shine. 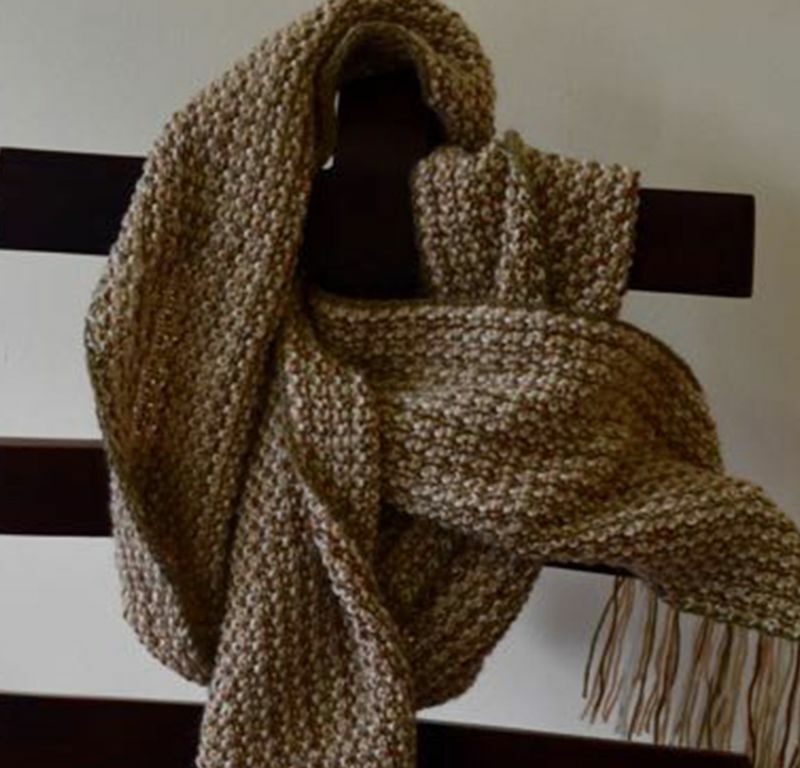 This hand knitted muffler has been designed to bring the pristine beauty of winter into elegant and smart focus around your neck. 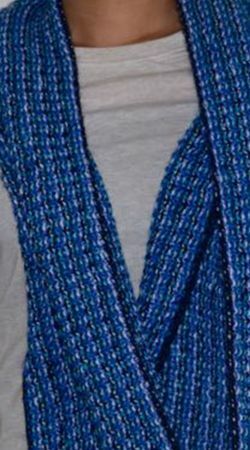 Soft and supple and long.. meant for wrapping around the neck and face, livening up a drab winters day, brightening the reflection of the daily winter coat, or just adding some classic charm to your jeans and shirt.Made from high quality, moth-proof acrylic yarn, this is a perfect piece of classic hand knitted art.